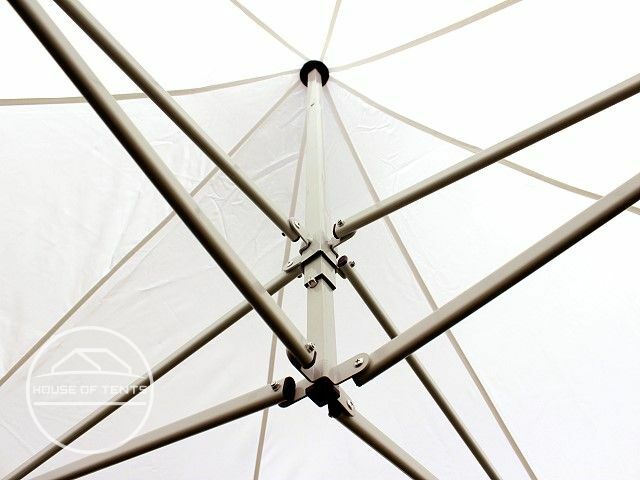 A robust Pop-Gazebo with lots of extras at a low price. 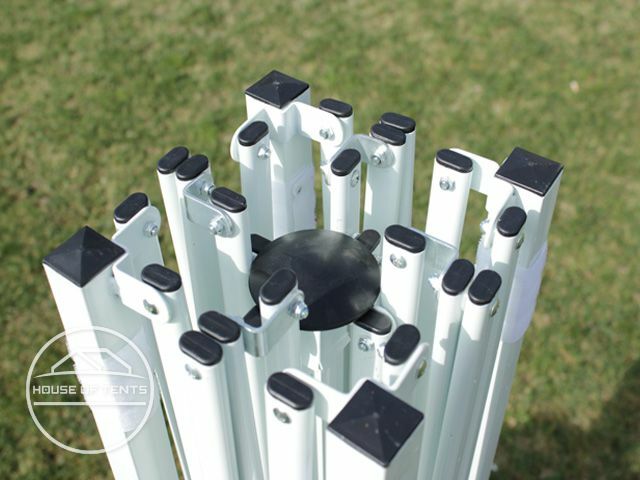 The poles are made of high quality square tubed steel with powder coating in white. 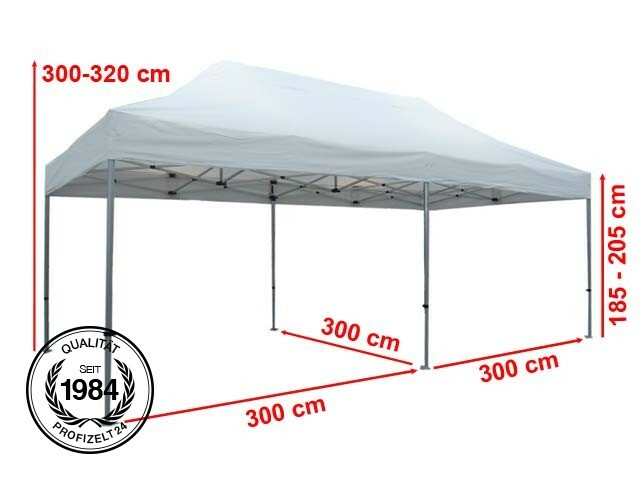 The 300g/m² tarpaulin consists of a durable Polyester with PVC lining making it 100% waterproof. The frame is designed utilising a practical scissor mechanism with an integrated click system. 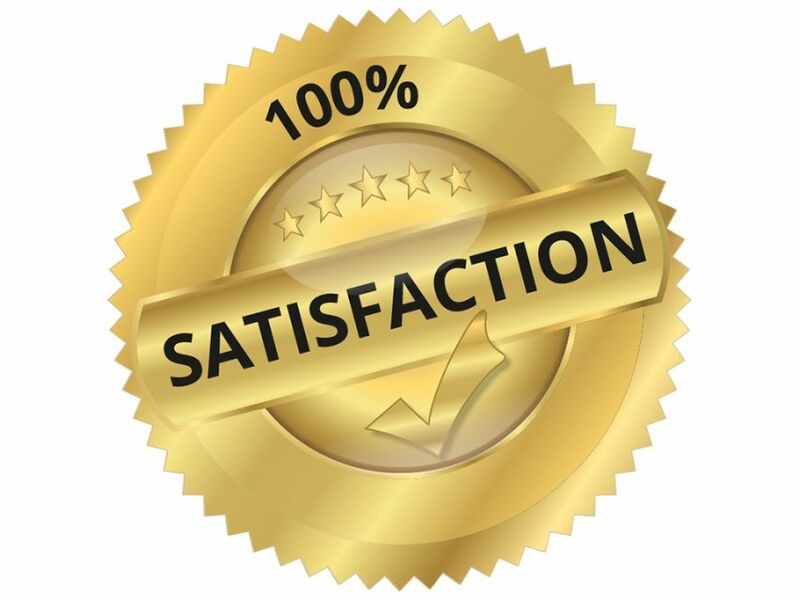 Thus, the Gazebo can be expanded and contracted in no time at all! 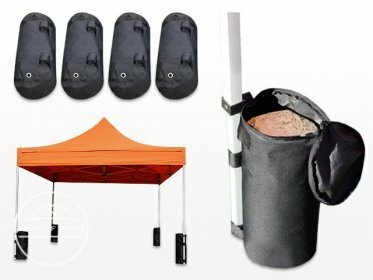 The Gazebo can be adjusted to three varying heights and is delivered complete with a transport bag.